When Milwaukee homeowners are looking for a touch of flair and practicality, they often gravitate towards sliding windows. They provide a sleek, modern look as well as ease of use and excellent ventilation. When you choose Feldco, you have 2 or 3 section options for your sliding windows. As the name suggests, sliding windows slide horizontally on a track when you open and close them. Think of them as double hung windows laid on their sides. You can choose to have either one or all of the sashes operable. A great feature of sliding windows from Feldco is that the sashes are easily removable which allows for quick and simple cleaning. You’ll be able to clean both sides of your sliding windows from the comfort of inside your home. 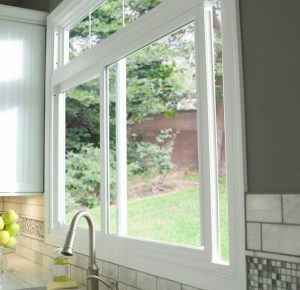 Much like our double hung windows, sliding windows from Feldco feature safety latches at 3 and 5 inches to help protect anyone from accidentally escaping. Plus, they help keep intruders out by not being able to be opened any further than the latch allows for. Where Do Sliding Windows Work Best? Since sliding windows are so easy to use, they’re often installed above kitchen sinks, in bathrooms or any other difficult to reach areas. You can even open them with one push of a finger. Other common places for sliding windows are basements since they can allow a lot of light and fresh air in. 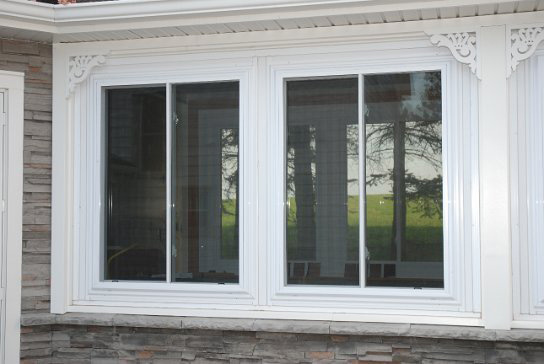 All around, sliding windows can be installed anywhere you see fit in your Milwaukee home.